For us the culinary theme and resolution for 2009 was preservation in its different forms. Between us we haven’t done too bad, though it has very much proved to be Hubs’ domain. Hubs has a knack of being good at the stuff I’m frankly rubbish at (or don’t have a patience for); I suppose we’re a good balance. successful preservation this year included Pickled Red Cabbage, sweet chilli jam, quince jelly, gooseberry jam along with many other projects that got eaten before being posted about. For me the highlights of 2009 include then experiencing the famous Valentine Feast at River Cottage, learning to bake bread at River Cottage, snowday eccentricity leading to making Nutella, Hubs going all Hugh with smoking in a breadbin, realising that beer makes a very fine cooking ingredient be it in ice cream, brownies or bread and eating my way around Berlin. 2009 was also the year I started to teach cookery to primary aged kids. It was a steep learning curve for me. Some things worked some things didn’t. All I will say is never ever make peppermint creams on a boiling hot day with a class of kids it’ll only end in a sticky disaster. This year and decade has culminated with my appearance of Aleena Naylor’s show on BBC Radio Derby and finally Christmas. For 2010 both Hubs & I have our own foodie resolutions. For me it is to get more confident with fish and for Hubs it is to finish building his cold smoker. Thanks to some Christmas gifts we already have a few foodie trips planned including a day at the School of Artisan Food and a couple of nights feasting at Northcote. I hope the next year and decade will be just as good for you. It’s that time of year when sprouts make an appearance on dinner tables throughout the land. It is often a maligned vegetable that I believe deserves to be given a chance to shine. I know they are a marmite food in that they are either loved or hated. They can be delicious as long as they are not over cooked. Better to be undercooked than overcooked, but then I’m one of those odd people who loves raw cabbage. As a child I was encouraged to eat sprouts by being told they were fairy cabbages. Come on, I was an innocent child and to get a chance of being closer to the kingdom of fairies I was prepared to consume a sprout. A few years ago I bought a copy of Sarah Raven’s Garden Cookbook (a fabulous cookbook by the way) and on the inside cover is an amazing photo of red sprouts, my goodness I can’t believe I’m saying this about sprouts. The type of sprouts took some sourcing but we eventually found out they are called Red Rubines. A few years ago we had to buy them through a seed catalogue couldn’t get Red Rubines so had to settle on a similar Falstaff sprout, but now Sarah has made it easy and you can buy the Red Rubine seeds through her website . Thanks to caterpillars we’ve been trying to grow a crop of them for 2 years, many evenings were spent ridding the plants of the eggs and caterpillars. Today, after a lot of perseverance, we harvested our first and last crop of Falstaffs. 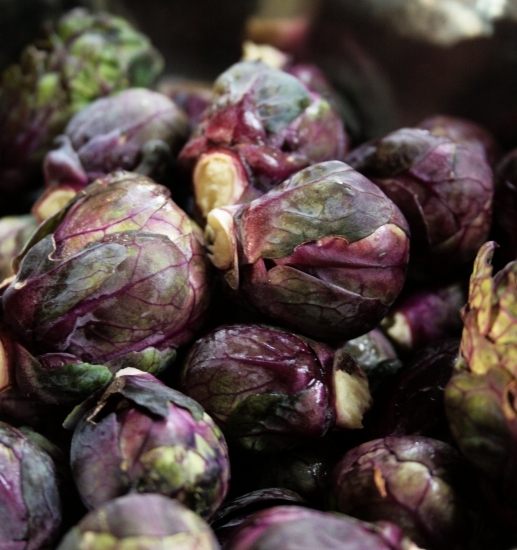 Unlike a lot of purple vegetables that loose their purple hue when cooked the colour in these vegetables intensify. They are not as bitter as the green ones, almost sweet. Maybe we’re quite sad we went to such extreme lengths to find and grow the Red Rubine or Falstaff but I’m sure that if children were served these rather than their murky green counterparts there would be less sprout haters in the world. Go on, give sprouts a chance. I’ve had this recipe hidden in my recipe file for years after I made them for Christmas pressies a few years back and the recipe resurfaced a few weeks back for a maths evening I did in school where maths was taught through different means including cookery. I had forgotten how easy these truffles are to make and they certainly went down very well with both pupils and parents alike. It’s such a simple recipe. 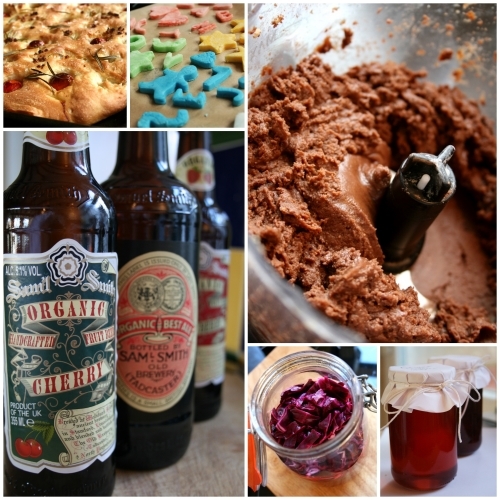 Minimum 2 ingredients and can be easily altered depending on your tastes. 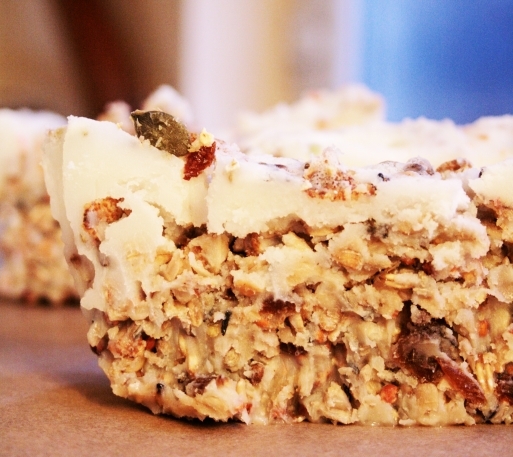 For speed it can be done in the microwave making it perfect to make with children…of course minus the alcohol! When it come to melting chocolate I’ve discovered that if using dark chocolate use either supermarket basics brand or a decent brand of chocolate (like Green & Blacks) as these melt the best; though with dark you will notice a significant difference in taste between cheap dark chocolate and the more expensive brands. With milk chocolate stick to cooking chocolate as Galaxy, Dairy Milk and the like have a tendency to seize when you don’t want them to and for white chocolate I really like G&B as it isn’t too sweet, but I have also used Milkybar with success. 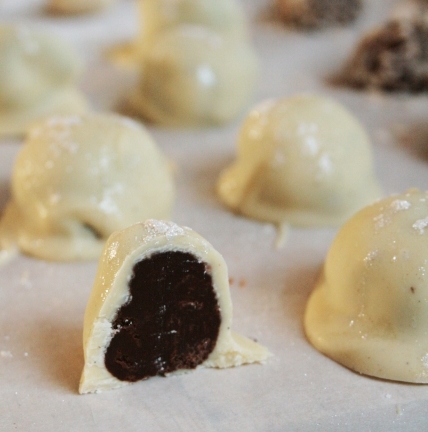 I’ve been making these truffles quite a few times over the last week and given the snow we have at the moment I thought it was quite apt to have a go at making Snowball Truffles by playing around with variations including dark chocolate rum truffle dipped in white chocolate, rum & coconut truffle and white chocolate & raspberry liqueur truffles. My favourite being the white chocolate dipped ones. 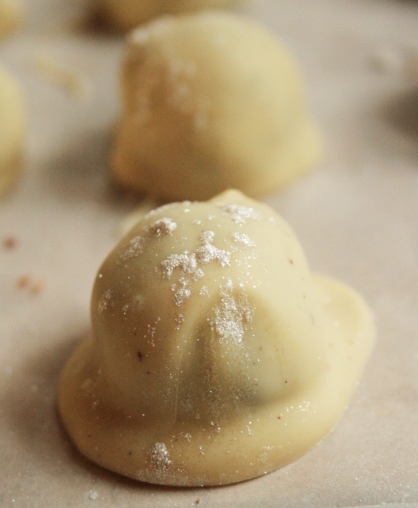 The sweet white chocolate really brings out the rum in the dark truffle. As it’s Christmas it also means one thing – edible glitter and lots of it. Just remember you can never have too much glitter…or maybe that’s the magpie in me. Be warned these are very rich so don’t feel bad about being stingy when it comes to the size of the truffles. 1) In a microwave proof bowl mix together chocolate, condensed milk and flavouring. 2) Heat the ingredients. At 10 second intervals stir the chocolate. When the chocolate has melted remove the bowl from the microwave. 3) Continue to stir until the ingredients turn into a fudge-like consistency. It does begin to look like the chocolate has seized but don’t worry, it is meant to do this. Allow it to cool for a few minute. 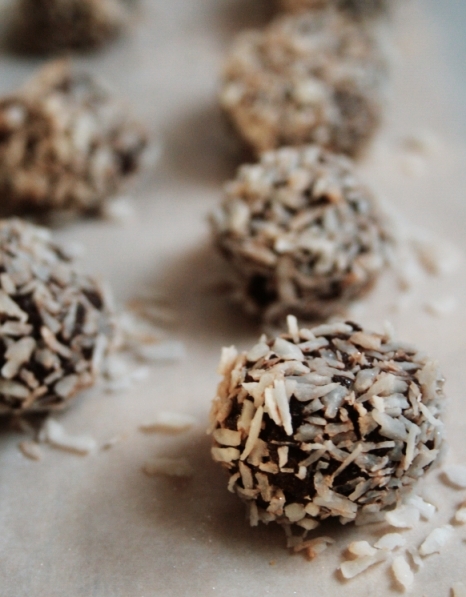 4) Take tsp of the mixture and roll into balls. Roll in coating then place on baking parchment to set and harden. If wish to dip the truffles in chocolate allow the truffles to first cool then dip in melted chocolate and leave to set on parchment. As I sit here on a cold winter night warmed by the heat of the open fire I often wonder the things this 200-year-old cottage has seen during the festive period. What smells would be coming from the kitchen? How is it decorated? If only the walls could talk. Right now the all-important real tree is lit up with a multitude of fairy lights making it barely possible to get in and out of the front door; the chestnuts are by the fire ready to be roasted; my wreath of holly, ivy & eucalyptus is hanging proudly at the door to signify the circle of life and the sprigs of mistletoe have been hung. There is something I love about bringing the outside in during the festive season. As a child I used to attend a church were they had a wreathing service where the interior of the church was adorned in green garlands. As the years have gone by in the cottage I have tried to make more of an effort with dressing it for Christmas and in turn starting our own little festive traditions. Since picking up a copy of Sarah Raven’s Complete Christmas earlier on this year I was determined to have a go at making my own wreath. 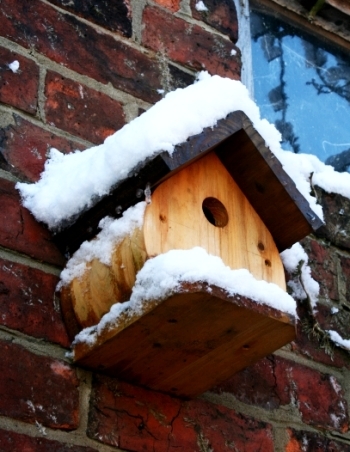 One problem our garden is tiny and has none of the traditional greenery required. This meant a trip to my parents to do a sweep of their garden. There was some hydrangea, but unfortunately they had gone just too far to be useable for decorations. Never did I realise there was so many different types of ivy & holly. Interestingly my parents have an unusual holly bush that produces albino holly. All of the holly bushes at my parents were void of berries. A few days before I arrived the trees had been bulging with berries, but obviously the birds know something I didn’t and literally cleared the trees of all it’s beautiful berries. I grabbed a generous sample of all of the traditional festive greenery and now they have been transformed into decorations around the house and a rather impressive wreath for a beginner like me. 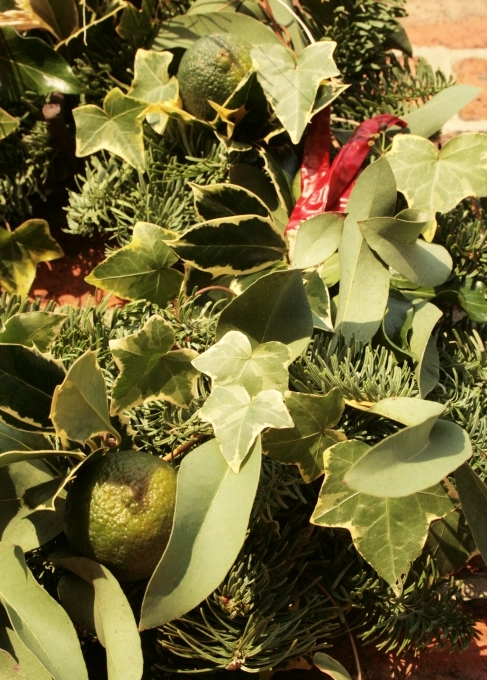 I decided to use the limes and chillis to add a bit of festive colour, but also give the wreath a foodie twist. 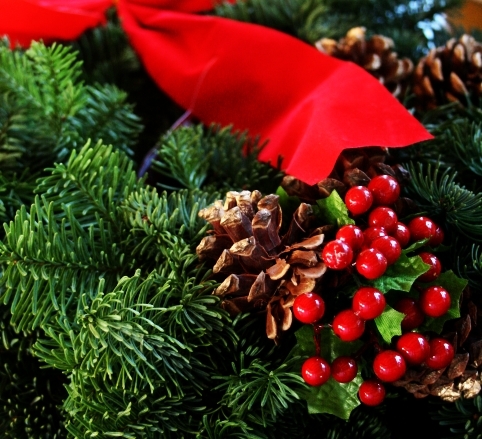 There are a few traditions surrounding holly, ivy & mistletoe. The main reason for all these plants being used in decoration is that they are evergreens which in turn represents eternal life and encourage the return of the sun. Rosemary, bay & laurel are also sometimes used. 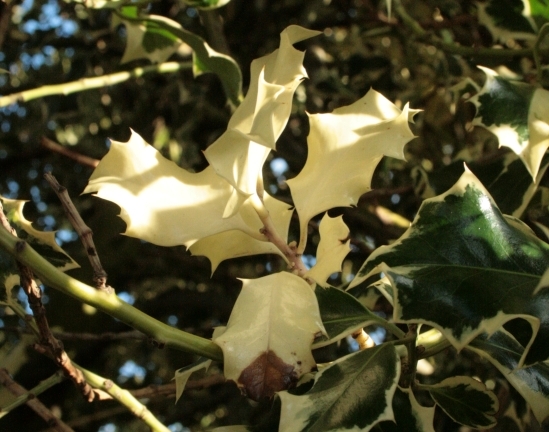 Both holly & mistletoe are used for decoration as they are thought to ward off evil spirits. Tradition states that ivy must not be used on its own or dominate as decoration or it’s unlucky hence why Christmas decorations are often a mixture of different evergreens with each plant having its own significance. After successfully attempting my first wreath I hope this is the first of many and another Christmas tradition for Hubs & I. New Decade = New Blog. As I decided to move over to WordPress I thought it was a fine opportunity to “rebrand” my blog and make it more inclusive of Hubs and his fantastic foodie projects.Please bear with me with the new look as with the festive season fast approaching time is tight, but both Hubs & I will be back soon. Lighting in the cottage at this time of year makes photography very difficult, hence my lack of posts recently. 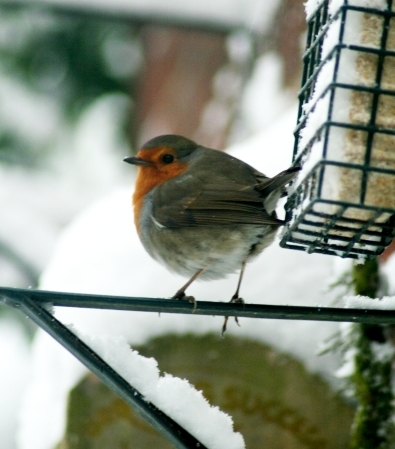 Thankfully I have a much-needed tripod on my Christmas List. Christmas is coming at full force and the to do list is extending at an alarming rate I feel organised but also totally unorganised at the same time. Everything is revolving around getting to the end of term without drowning in a sea of glitter and baking for friends and family with the odd party and ball thrown in for good measure. All the Christmas editions of foodie mags around December are full festive cheer, but to be quite frank there is only so many ways you can carve and stuff a turkey! Baking in the house at this time of the year is very much based around traditions and sometimes I can be a bit too stubbon to change them. Here the staple for Christmas baking is mincemeat. I’m very particular what goes into my mincemeat, hence why I make my own. I was a bit heavy-handed with the rum this year, but given the latest batch of mince pies were practically inhaled by workmates I don’t hear them complaining! I usually make the mince pies one of 2 ways – either in the style of mini Eccles cakes, or traditional shape but with gluten-free pastry to cater for some friends. Today I finished baking stained glass biscuits with 40 primary aged kids, they loved watching the biscuits transform. 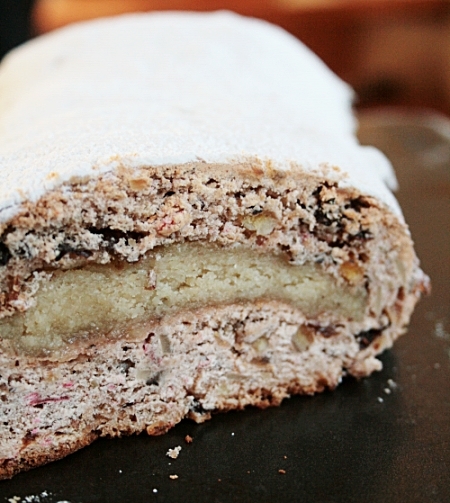 This weekend the well-fed Christmas Marzipan Cake is finally being sliced. I just hope it’s as good as I’m expecting. Hubs has also been busy with the slow food for Christmas. Salami is curing ready for an “allotment swap”, a length of pork belly has just been dry cured and is beginning to dry out in the meat safe plus a leg of pork is brining in a mix of cider and spices ready to be boiled into a ham. Just don’t ask if we have a pan big enough to boil the ham. If these meaty experiments work I’ll get Hubs to post the recipe. In the final preparations for Christmas I’m getting all Sarah Raven and going to attempt to transform a boring Supermarket wreath into something a bit more us with a foodie twist of chillies and limes and bake my usual biscuits to adorn the tree. If the wreath goes wrong (of which there is a high possibility!) I know that the wonderful Kerry at The Blossom Tree will be coming to my rescue. So raise a glass of your favourite festive tipple to Christmas, cheers!